Novec 1230 Cylinder Recharge – Why And What For Could You Need It? If you are an owner and/or simply occupy the building, the fire safety provision is your full responsibility. You should arrange the adequate regular fire suppression equipment inspection and maintenance, including the full care of your fire extinguishers and Novec 1230 cylinder recharge. Here you can learn some essentials on what Novec 1230 is and how to make Novec 1230 cylinder refill. Novec 1230 is a commonly used halon replacement manufactured in the US which is a popular gaseous agent for effective fire suppression. It has got a low global warming feature and can be very helpful in cases when water is not allowed to be used as fire protection means, like in the facilities which are equipped with the expensive electronic devices, as, for example, server rooms, or other premises, like hospitals, museums or banks, to name a few. Novec 1230 is in the form of fluid at room temperature, however, it quickly transforms to gas while being discharged. The product is utilized for flooding applications and is common for portable fire extinguishers. This means you will need to do Novec1230 cylinder recharge to use it effectively during the whole time of service. How To Make Novec 1230 Cylinder Refill? Every time you require the Novec 1230 cylinder recharge, it’s reasonable to apply to the authorized Novec 1230 fire suppression refilling facility. The company to deal with should be duly verified, approved and certified in Canada. The trustable contractor can provide you with the reliable, modern and expert solutions for recharging and replacement of the cylinders you use for fire suppression. 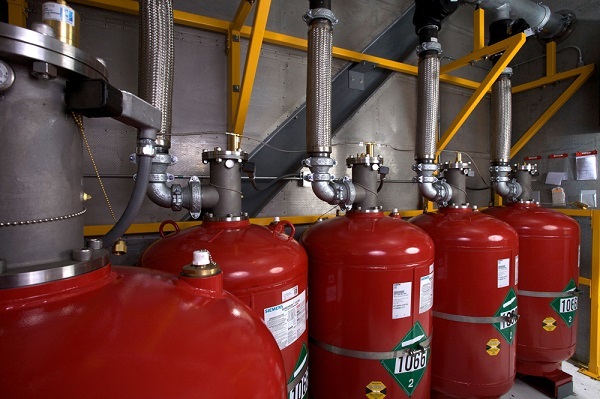 It’s convenient to buy new fire suppression devices and recharge your existing cylinders in one place. Please make sure you choose fully certified services, that, as a rule, include UL/ULC listed clean agent recycling and refilling facility, standard basis and emergency 24/7 Novec 1230 cylinder refill. You can easily trade halon and clear agent with the right local company. The reputable local fire protection system contractor will be able to refill and recharge all the most popular fire extinguishers and fire suppression equipment brands, common in the market. You can even get a one year warranty on the service and workmanship from the leading Canadian fire protection provider. Such a company usually keeps a whole stock of replacement parts in case they need to maintain the fire extinguisher together with recharging it. This means you can receive the 100% quality service on inspection, maintenance and recharge every time you have to get your Novec 1230 cylinder refilled. Besides, when a cylinder gets five years old and the official expire date comes into effect, the trustable fire suppression equipment team will offer the full check, called the H-testing and further maintenance of the device. Only after the thorough examination your old equipment will be either refilled again or replaced properly to guarantee you the full safety. The team of technicians is constantly trained to deal with all types of paraphernalia and the agents they require. The professionalism of the staff and the quality refilling equipment can do the most effective job for your building fire protection.